Let’s build an eye-catching site that represents the best of your past work, authentically embodies your present, and nurtures your fullest future potential. 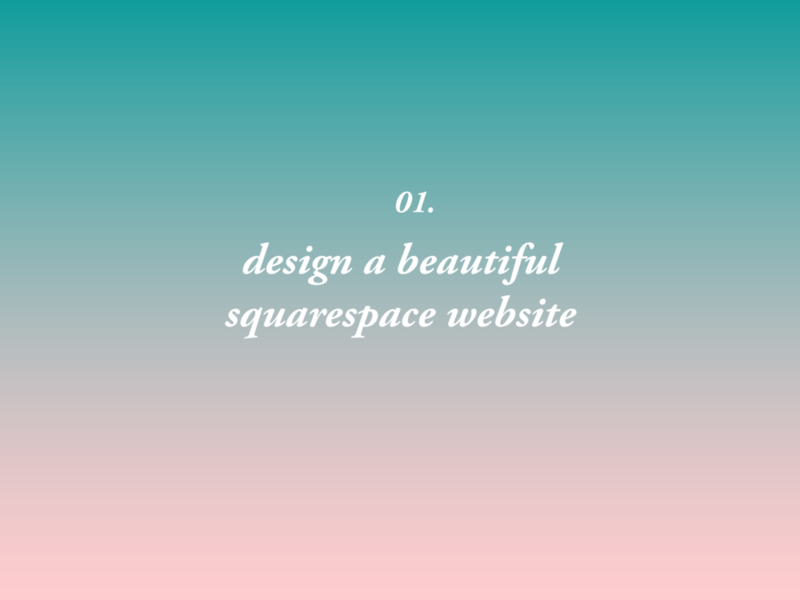 I’ve been designing Squarespace websites for over six years — it’s my go-to platform for small businesses and creative entrepreneurs for its versatility, flexibility, and beautiful design. Be memorable in a sea of overwhelm by clearly defining who you are, what you stand for, and what you have to offer the world. I’ll walk you through a series of exercises and prompts to refine your vision of yourself, and we’ll create a strategy to communicate it — effortlessly. 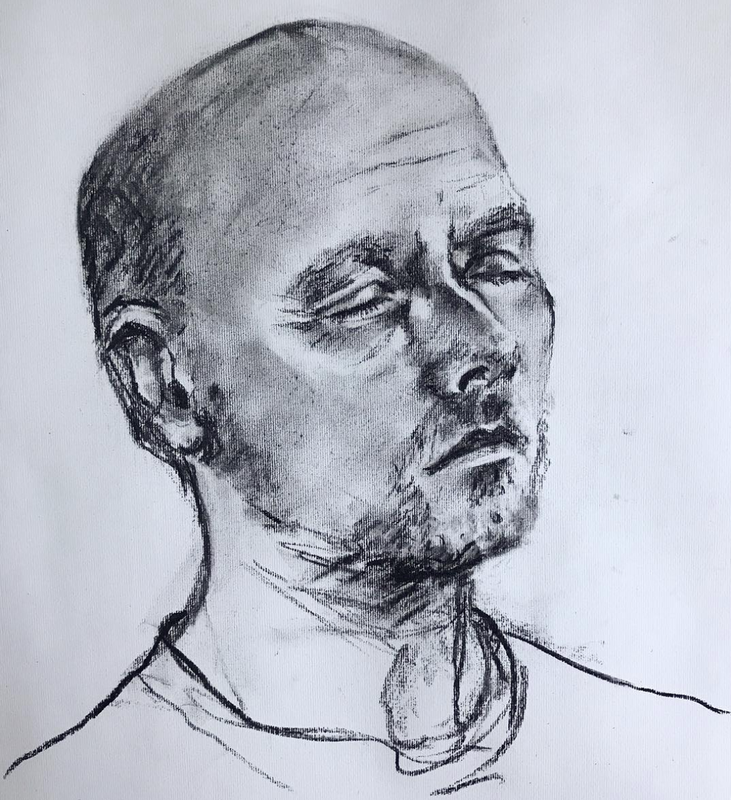 Process: 50-minute sessions by phone. A 3-session package to start. Resources: you read my posts and resources on branding here. Learn to write so that your voice is heard. I won’t fish for you (unless you want me to); I’ll teach you to fish. Learn to craft clear, compelling messages that speak from your heart, resonates with your audience, and inspire them to take action. Find power in your written word. 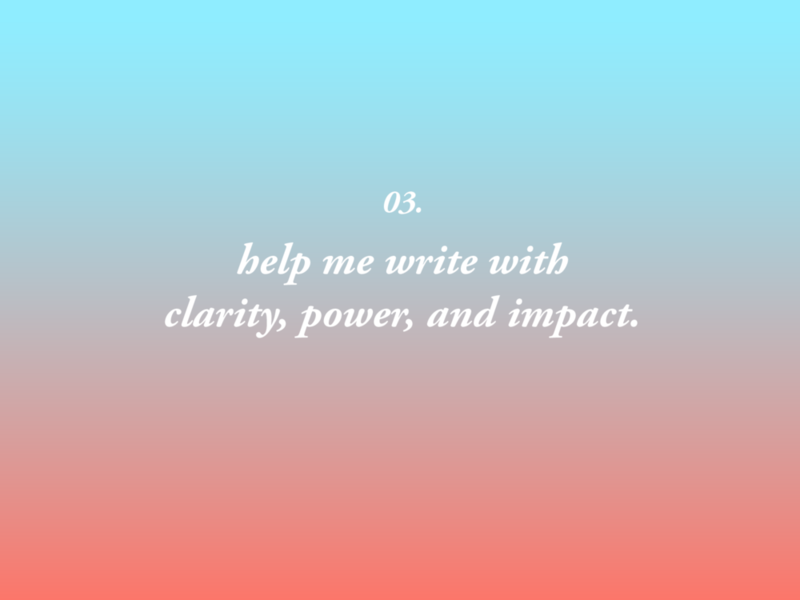 Process: share your writing goals with me, and I’ll recommend a session plan to help you attain them. submit writing for my edits & feedback. Empower yourself to be the best entrepreneur, artist, creator, builder, human being that you can be. 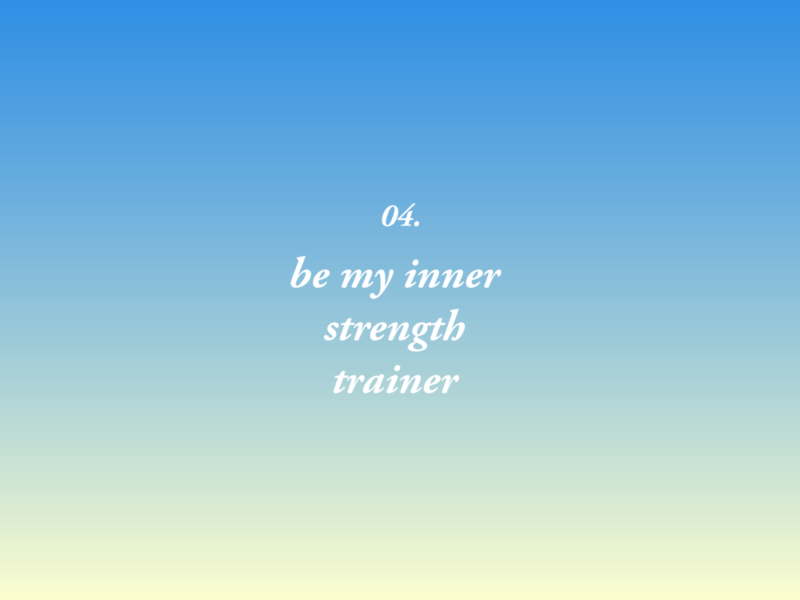 Inner strength training means refining the tools of focus, discipline, and effortless execution. We’ll be working with habit-design, daily rituals, goal-setting, tracking, and measuring your progress. I’ll constantly push you to be more, create more, and imagine more. Process: share your deepest dreams and goals, and I’ll make a plan to help you attain them.